Every time we choose a route to work, decide whether to go on a second date, or set aside money for a rainy day, we are making a prediction about the future. Yet from the financial crisis to ecological disasters, we routinely fail to foresee hugely significant events, often at great cost to society. In The Signal and the Noise, the New York Times political forecaster Nate Silver, who accurately predicted the results of every single state in the 2012 US election, reveals how we can all develop better foresight in an uncertain world. 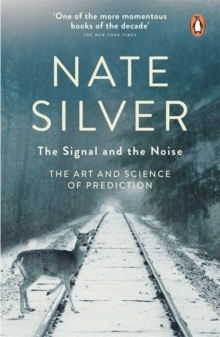 From the stock market to the poker table, from earthquakes to the economy, he takes us on an enthralling insider's tour of the high-stakes world of forecasting, showing how we can use information in a smarter way amid a noise of data - and make better predictions in our own lives.